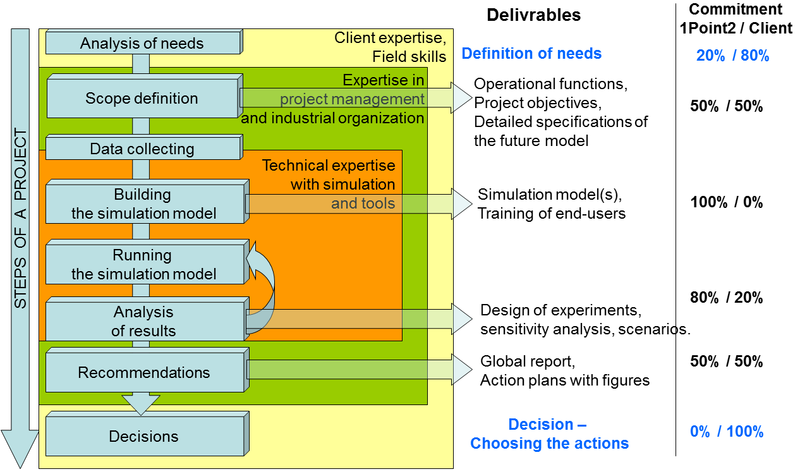 With simulation software both affordable and relatively easy to use, it is possible for any company to consider having an internal simulation competency in order to test an industrial organization, experiment the effect of future modifications or better understand how to enhance an existing system. For the very first simulation study, we still advise not to do everything alone. Short introduction courses, professional training in software tools and methodology, teaching in schools and universities — for beginners or advanced users.